The 2013 Ford Fusion Energi plug-in hybrid has been getting a lot of attention from those interested in the idea of a reasonably priced mid-size plug-in sedan. If you’re among this crowd, the price has just been released, and according to Car and Driver, the Fusion Energi will be available from $39,495. That’s the price for the SE Luxury trim. If you’re going for the top of the line Fusion Energi Titanium, it will cost you $40,995. These prices are before the $4,000 federal tax credit and state tax credits. 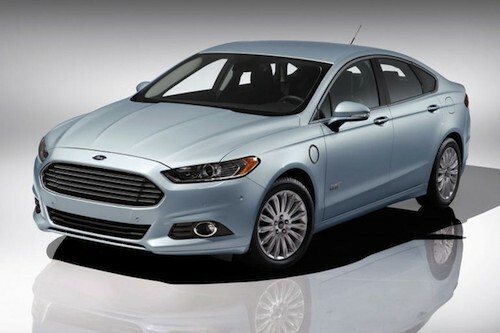 Expectations of the 2013 Ford Fusion Energi are pretty high, with an anticipated 100 MPGe. According to Ford, this number is “8 MPGe more than the Chevrolet Volt and 13 MPGe more than the projected efficiency of the Toyota Prius plug-in hybrid model.” Of course, there could be a bit of speculation to this. Plug-ins are difficult to rate with a specific mileage number, since so much of the result depends on driving patterns, electric range, and other factors. Do you think Ford might be on to something with this car? If you’re considering purchasing a plug-in vehicle, what would your first choice be?